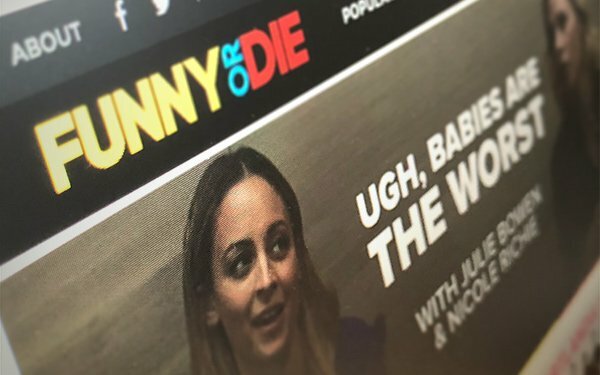 The Funny or Die website is moving to Vox Media’s tech, audience and advertising platform this summer. Funny Or Die will remain an editorially independent company with its own sales team, but the comedy video brand will soon operate on Vox Media’s platform, called Chorus. The site will undergo some design changes as it moves to the new platform. Funny Or Die, which was created in 2007 by Will Ferrell, Adam McKay and Chris Henchy, will be able to use Chorus’ proprietary tech and suite of products. “Together, we’ll also explore codeveloped video and production projects leveraging Funny Or Die’s relationships with top comedic talent and the premium production capabilities of both our companies,” according to Vox Media statement. Vox Media and Bill Simmons Media Group partnered last May to move the popular sports, culture and tech brand The Ringer onto Chorus. FunnyOrDie.com will also join Concert, the publisher-led marketplace launched by Vox Media and NBCUniversal. Funny Or Die has had a few shakeups in the last few years. In 2016, 37 people were laid off when the company closed its San Mateo engineering office, and last year, the New York office was shuttered. In January, Funny or Die let go of its entire editorial team — or about 30% of its staff — as the company shifted its focus to TV production. It is likely this focus will continue with the Chorus move. Funny Or Die will not lay off any employees as a result of the website moving to Chorus, a company representative told Variety.